Late last summer I made an agreement with a Native American tribe here in Michigan to obtain some fish guts from Great Lakes caught Salmon.This group sells their fish at the Flint farmers market every Saterday.The Company is called the Fresh lake Whitefish Company The nature of the offal was from Great Lakes salmon and I noticed that Salmon have very large liver equal in size to that of chicken liver.I thought that this iron rich organ might be a product in it self that might have economic value.It would be interesting to test them for toxins as compared to the rest of the fish? 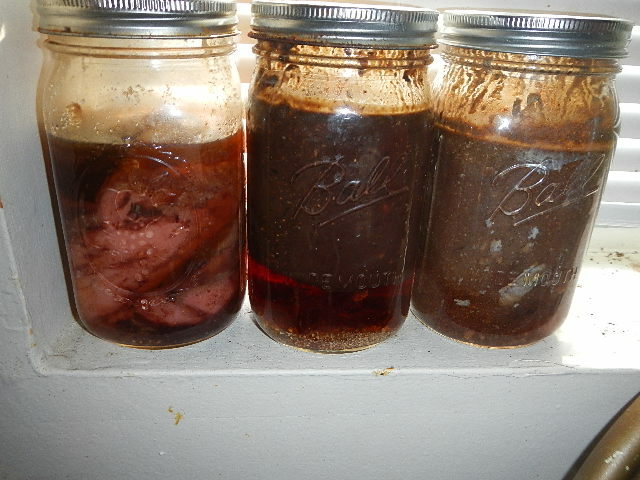 They had a light liver taste and I thought it would make for a fantastic pate.I also thought that the liver did not belong in the fish sauce experiment. 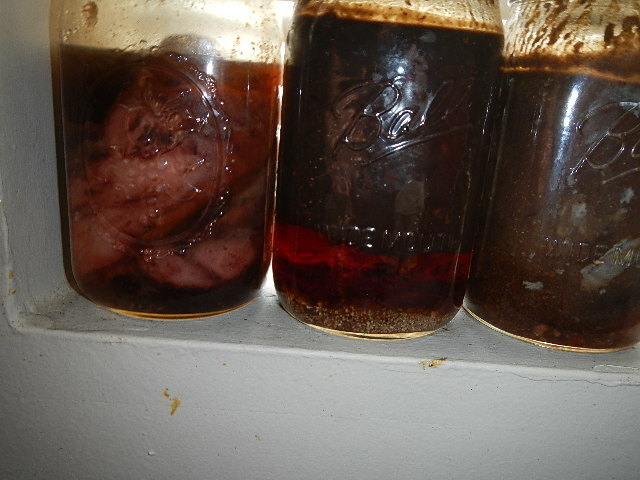 I did not macerated the guts just mixed them with salt but I failed to measure the salt going into each Mason Jar and I ran out of salt so some jars received more salt others less, This experiment needs to be repeated this summer with better controls.One Mason Jar today has preserved fish guts(did not ferment) the others within days started to ferment putting off visible bubbles.Salt kills single cell organisms except for the Arcea bacteria genus. Every few days I removed the lids to remove buildup of pressure and noticed no smell, this a sign of the absence of single cell organisms from the bacteria kingdom. The experiment with the Salmon Guts needs a small-scale repeat but a new experiment need to be conducted using only guts from Whitefish, Perch and Trout possibly walleye.I am going to ask the fresh lake folks if they would be willing to provide fish guts separated by species to me for a follow-up experiment this summer.In Asia different species of fish and squid produce differing flavors much like wine from different soils. Fish guts and fishing vessel by catch is a underutilized resource that is dumped overboard that could be used for a human value added food product, pioneering a local fish sauce enterprise could benefit my disabled veteran owned business as well as my native american fisheries partners.I propose that the both of us write a USDA SBIR grant to study this idea next year.The USDA SBIR partners would be the Flint farmers market test kitchen, Fresh lake whitefish company and Terrestrial and Cislunar exploration technologies, a veteran owned concern. This might be an important resource to do a USDA SBIR and to learn how a fish sauce product would be regulated and labeled. Another fish sauce taste test! 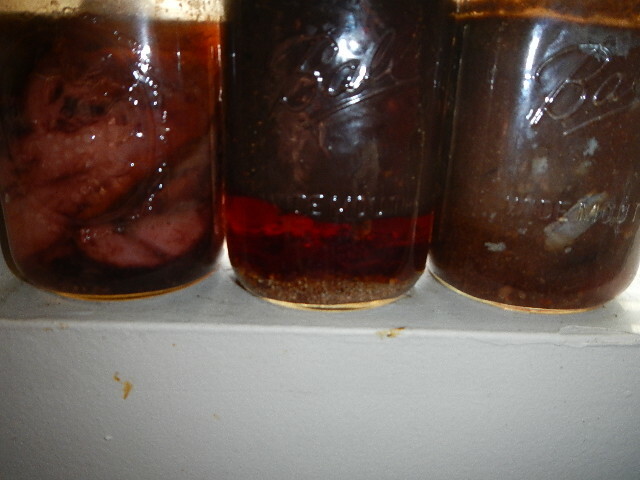 The making of Japanese fish sauce made from Squid intestines! I have discovered Filipino Bagoong! 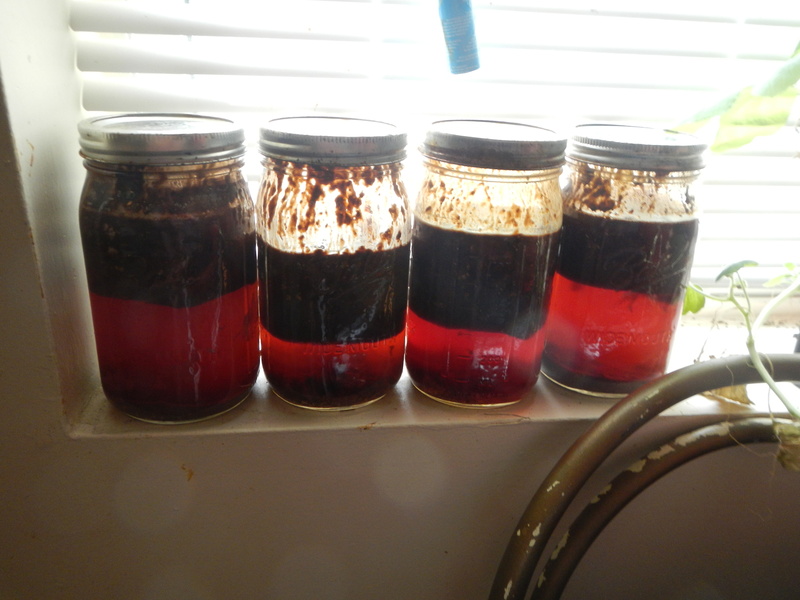 Notice the red/orange fluid in Bagoong is called Patis(fish sauce) but the solid is also used( see my Mason jars below) So the brown solids floating on top of my Mason jars might be a product? 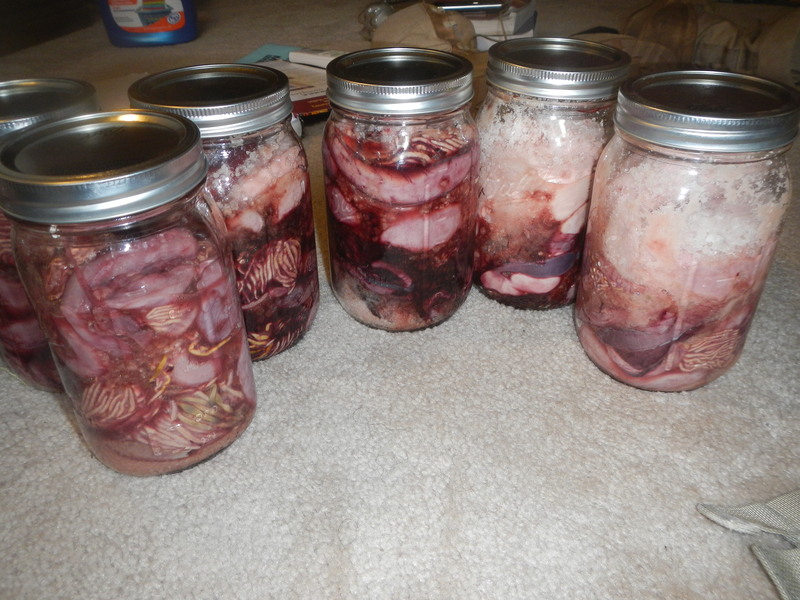 We could ferment our local fish offal here in Michigan in fruit brandy barrows? 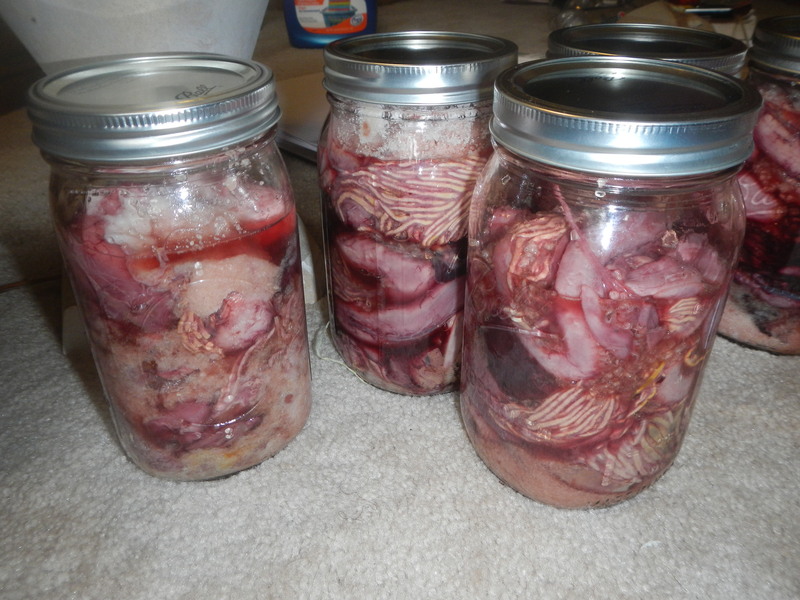 These images are from May 2015 of my mason Jar salmon fish guts that are about a year old! 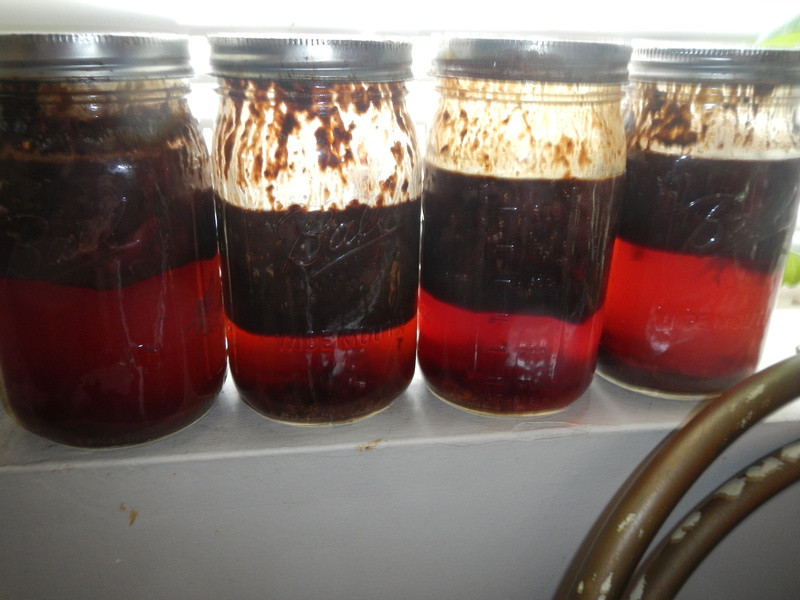 Fifteen strains of red-pigmented, strictly aerobic, coccoid, extremely halophilic archaea were isolated from fish sauce, perhaps this explains the red/orange color of fish sauce? Possibly a Kickstarter campaign could fund hiring a SBIR grant writer?